Curried butternut squash and chickpeas is a recipe I found through Food and Wine Magazine. It was pretty good except I would tweak it a bit if I made it again. The recipe called for the curry powder and cayenne pepper to be mixed in with the squash and chickpeas along with the olive oil. I would put the spices and oil in a pan and cook them first. Just putting them on the squash and chickpeas left them gritty and harsh. Also, in the crema yogurt, cilantro, and lemon juice are called for. It tastes better if a little cumin is added. 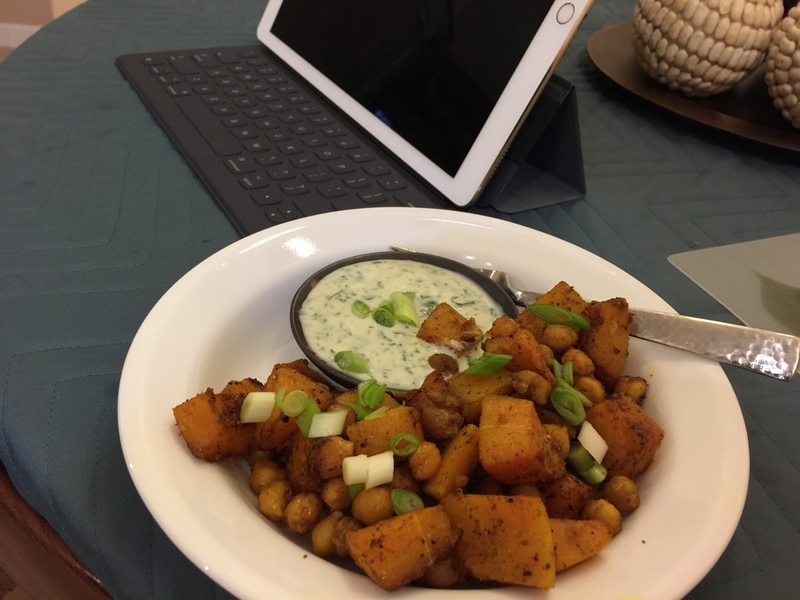 This entry was posted in Legumes, Vegetables, Vegetarian and tagged butternut squash, chickpeas, Curry, yogurt. Bookmark the permalink.